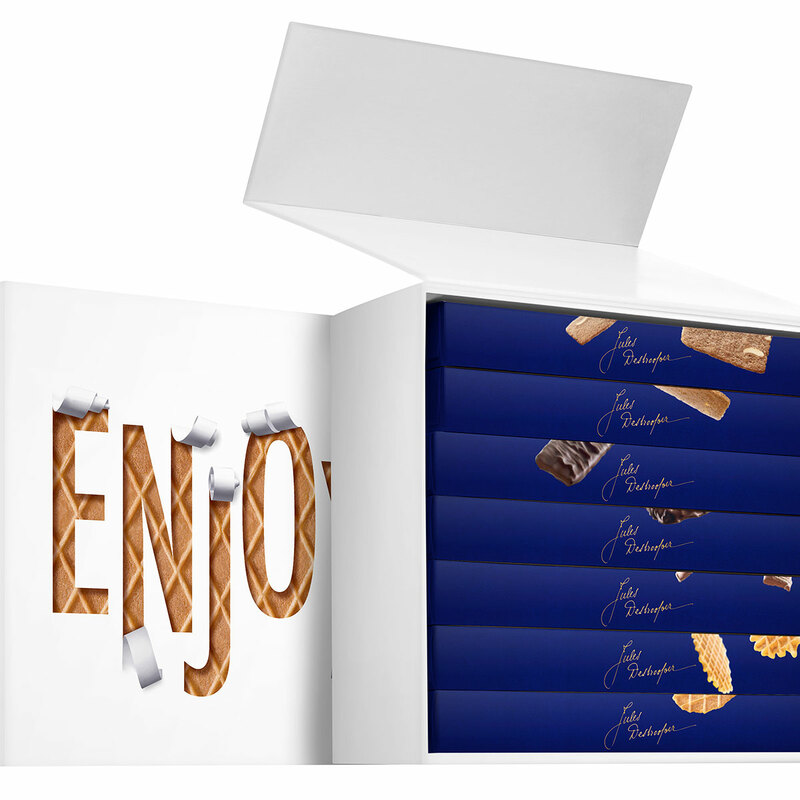 The gift box says it all: Enjoy! 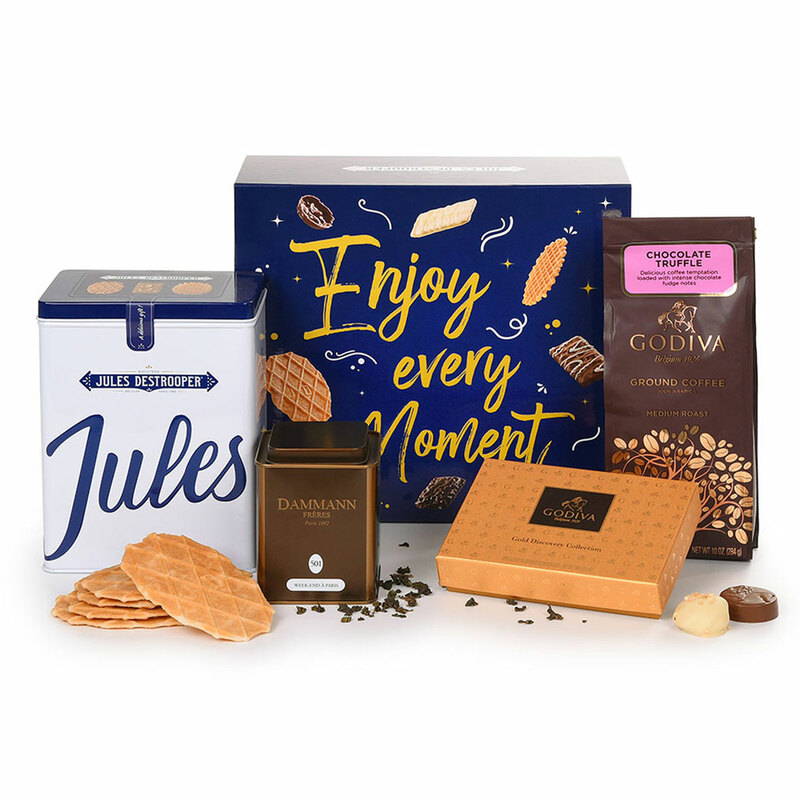 A cheerful Jules Destrooper gift box is filled with favorite treats for a relaxing snack, teatime, or dessert this holiday season. Delicious coffee, tea, biscuits, and Godiva chocolates await the lucky recipient. This Holiday gift box features the special holiday gift tin of Destrooper Jules' Favourite Selection, tasty collection of their classic biscuits made with traditional Belgian recipes. Crisp, delicious biscuits include Butter Crisps, Almond Thins, chocolate coated biscuits, and other gourmet cookies. 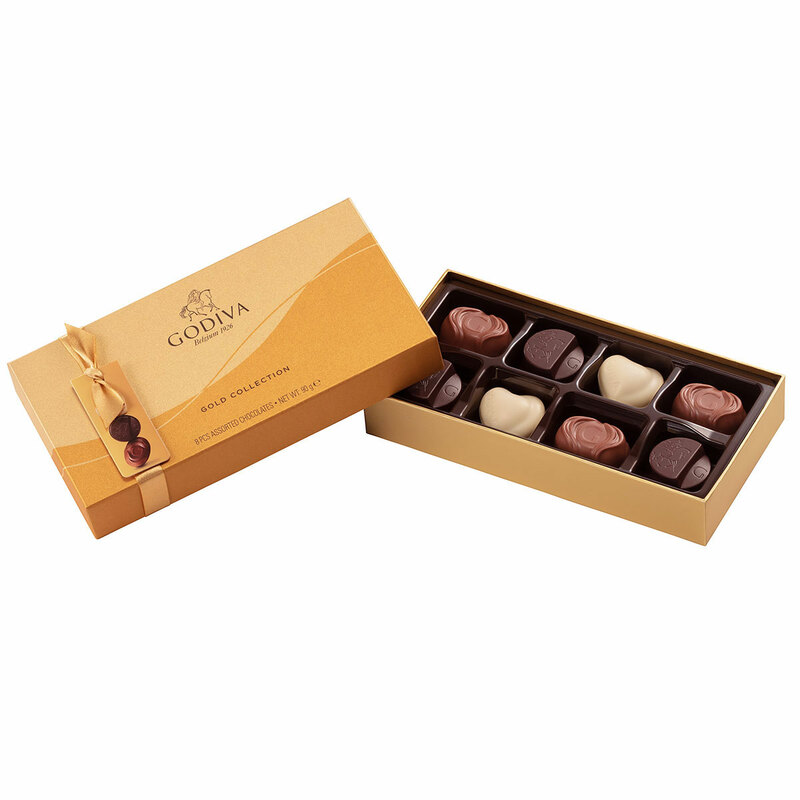 The Godiva Gold Discovery box presents 6 scrumptious milk, dark, and white chocolates with luscious fillings. Savor the biscuits and chocolates with a steaming mug of coffee or cup of tea. 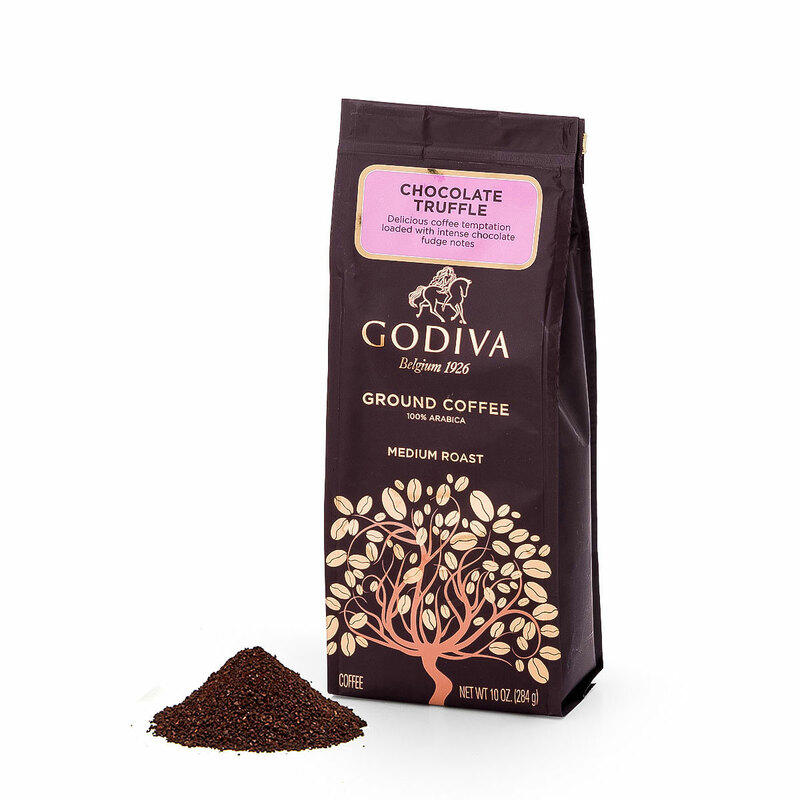 Rich Godiva chocolate truffle coffee is a welcome indulgence at any time of the day. 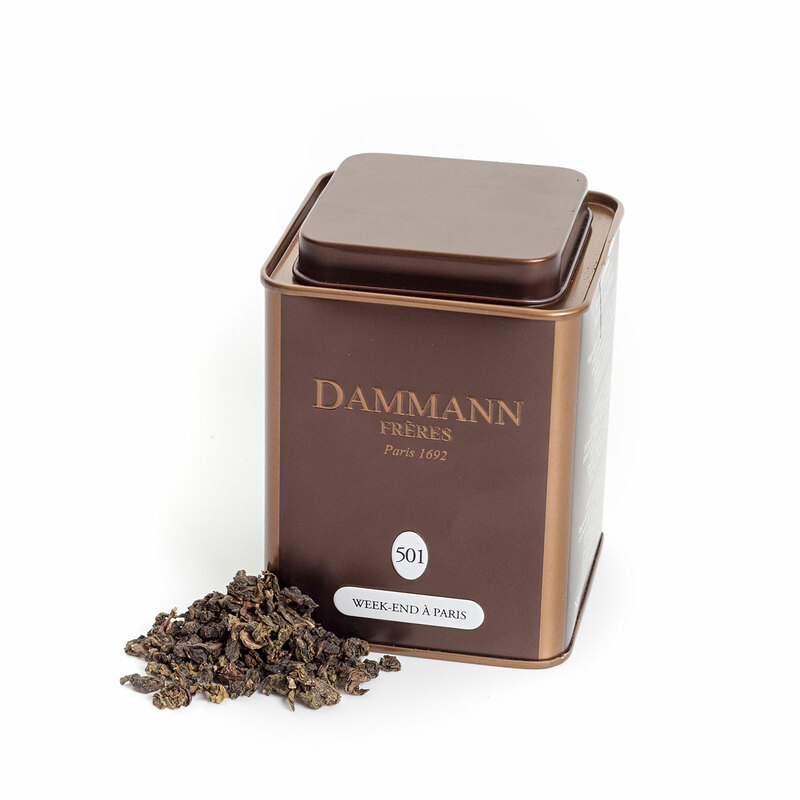 Dammann Thé Weekend à Paris is a luxury oolong tea with cherry and peach blossoms, almond, rose essential oil, and flower petals. Brighten someone's holiday season with this wonderful gift box!